Sydney is located on Australia's south-east coast and is home to nearly 5 million people. With a long history of immigration and a historically and modernly significant harbor, the city has grown to be a multi-cultural hub. It borders miles of coastline and is surrounded by nature and national parks. However, Sydney is not all beauty, it has brains too. 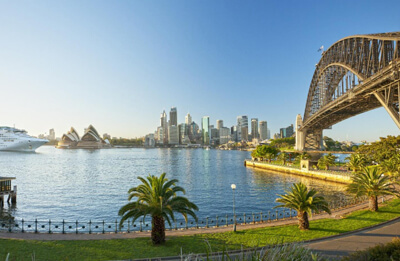 With a booming business sector, a prominent fashion and design scene and a solid tourism industry, Sydney is a major global city with a booming economy. It is home to world renowned landmarks and even had the honor of hosting the Olympic Games back in 2000. It is now one of the most visited tourist destinations in the world and here is why. A visit to Australia is not complete without getting your photo taken in front of at least one of these internationally famous landmarks. The Sydney Opera House: The most well-known of all the city's sights, this centrally located structure is a beauty both inside and out. Look from afar or get up close and personal by visiting for a performance. The Sydney Harbor Bridge: This bridge crosses over the famous harbor and is a focal point for activities. Visitors can bike over it, walk across it or picnic underneath it. Sydney Olympic Park: Visit the place where the 2000 Olympics took place. It is now made up of sporting facilities and parks for those looking for a little recreation. The Sydney Tower: Climb to the top of the tallest tower in the city for out of this world views. Australia is known for its variety of wildlife and although Sydney is a huge metropolis, animals can still be seen around the city. In and nearby Sydney, travelers can visit the Koala Park Sanctuary, Featherdale Wildlife Park and the Australian Reptile Park. Tourists can go whale watching from boats leaving from the Darling Harbor or stick around the city during dusk to catch a glimpse of the bats that come out in huge groups when the sun goes down. Kangaroos and wallabies can also be spotted in some of the nearby national parks. A little art and culture makes a great way to spend an afternoon in one of the most ethnically diverse and creative cities in the world. The Art Museums: Take a look at some fantastic collections without spending a cent. The Art Gallery of New South Wales as well as The Museum of Contemporary Art allow visitors to view most of their exhibits free of cost. The Australian Museum: Learn about the country's natural history to fit in a little education while on holiday. The Powerhouse Museum: A technology themed museum filled with interesting and interactive displays. Yeah, the city is huge, but outdoors lovers shouldn't fret-there are plenty of activities to be had out in the open air. Take a Short Cruise: Take a leisurely cruise around the Sydney Harbor or go on a jet boat ride for a more adrenaline filled afternoon. Canoe and Kayak: Start off in the harbor or from one of the nearby national parks and see the Sydney area from the waterways. See exclusive waterfront properties , turtles and the unique bird life. Surf: Surfing is one of those must-have Australian experiences and there are plenty of beaches around Sydney to partake in the sport. Whether you want to take lessons or just rent a surf board on your own, you won't be disappointed with the swells. One of the highlights of taking a campervan vacation is that you have the freedom and the means to check out some of the nearby day and weekend trip destinations. 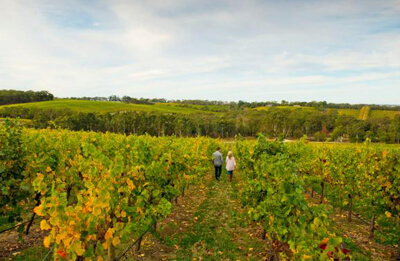 Western Plains: Take a road trip over the blue mountains to the beautiful area of the western plains. Here you will find fresh produce stands and pick-your-own style farms. Visit some of the towns along the way to delve into some foodie adventures and get a glimpse into the local life. 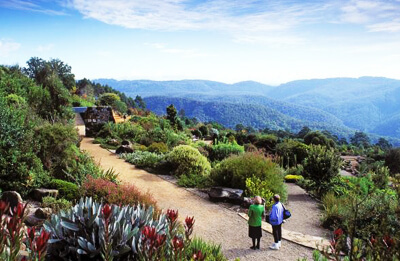 Blue Mountains: Drive up into the mountains for fantastic views, relaxing nature walks and a visit to the Jenolan Caves. National Park Tour: Take a self-guided tour through some of the area's most impressive national parks. 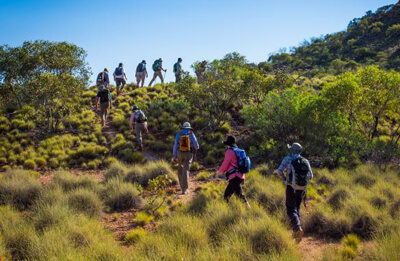 Start with the Royal National Park in the south of Sydney, make your way to Wollemi National Park to see the glens and finally stop at Kanangra Boyd National Park for the overall scenery. The Small Cities: Pay a visit to Wollongong for rainforests, endless beaches, sky diving and scuba diving or drive over to Newcastle for kite surfing, ocean baths and wetland reserves. Un-crowded Beaches: Check out the beaches in Gosford and Woy Woy. You won't only get coastal views and tons of relaxation but you can also get up close and personal with nature in the rainforest sanctuary and the village countryside. Sydney is the perfect city to begin a campervan hire journey. Start off by spoiling yourself with the modern culture and the world renowned sites. Dive into the food scene, check out the nightlife and once you've had enough of it all, simply hop in your motorhome and road trip right into the center of the natural scenery. You will get to see both sides of Australia's beauty without leaving the comfort of your camper rental.